Feel right at home in our spacious open-floor plan guest rooms. 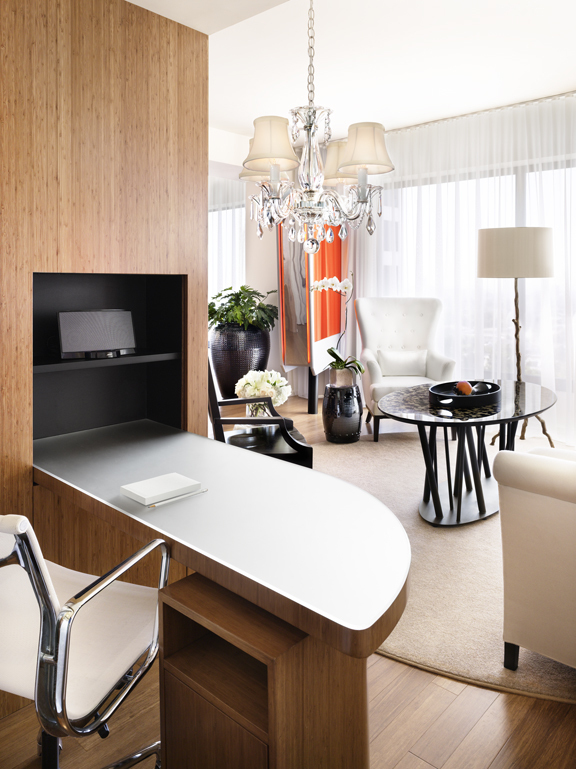 Each room comes stocked with any toiletry you might have forgotten and offers a work space so you can spread out. If you'd like to upgrade to blazingly fast internet, we can connect you to your own VPN. Last-minute proposal due? No worries – we will take care of everything. Our business center is available for printing and copying 24 hours a day. Need to ship something? We can take care of that too. Lunch meetings have never been more luxurious. 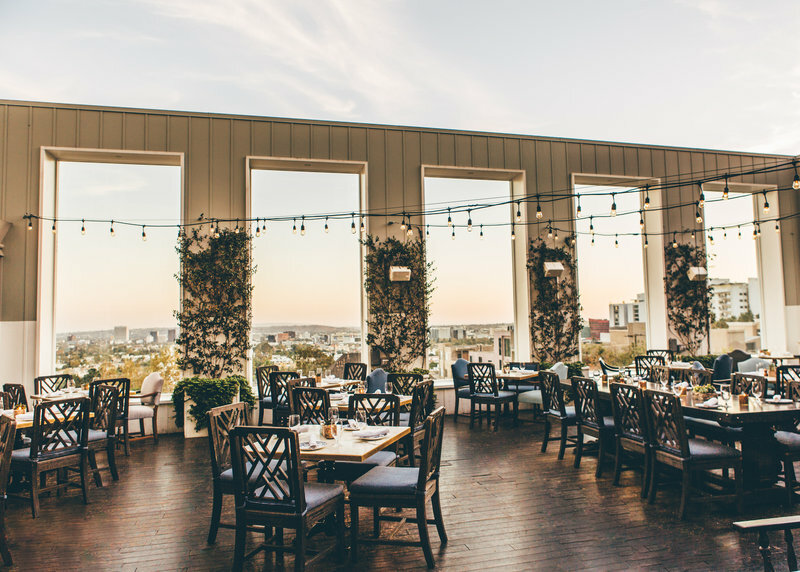 Mondrian’s in-house restaurant, Ivory on Sunset offers California Cuisine with legendary views both indoors and on the outdoor patio. Step in for brunch, lunch, or dinner seven days a week. Start your day off right or wind down after a productive day with our in-house gym. Fitness should fit into your routine, so our gym is open 24 hours a day. When the deal is done and you’ve finally logged of for the day, head down to Skybar to blow off steam. Sip a drink poolside while overlooking the LA skyline from Downtown Los Angeles all the way to West LA. Check out our full calendar to see what’s going on during your next trip. Mondrian offers multiple meeting spaces for whatever your company needs. Gather around our boardroom table in one of our elegant galleries or plan an event with a pool view in our cabana spaces - the options are limitless. Flat panel monitors for audio-visual playback, smart boards, electronic flip charts, portable computers, mobile phones and fax machines are also available upon request. Convince your boss to send you to LA and book your room now.